Bruce Hanes founded Hanes Investment Realty, Inc. (HIRI) in 1992, as a successor to The Hanes Company, Inc. which began investment real estate brokerage operations in 1970. Through the unshakeable work ethic that he instilled in all associates and employees, he built a paradigm of first class client service and value representation. Mr. Hanes exemplified “Leadership Through Example” and has supervised, or has been personally involved with, over $4.5 billion in investment property transactions. Through his coaching and hands on management, Mr. Hanes built an investment real estate brokerage company with an unparalleled track record of success. At the time of turning over day to day operations of HIRI, Bruce was able to achieve the following track record for over $420 million in HIRI commercial transactions. Plus Hanes Corporate offices, in Woodland Hills, CA. Hanes also owned and operated a commercial escrow company, Progressive Escrow, and still remains President and day to day operator of Hanes Properties, LLC, a property management company. 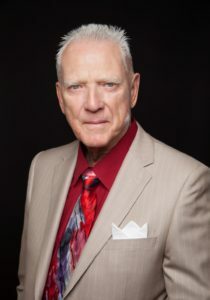 Mr. Hanes has authored numerous articles, including “When Will the Free Fall End?”, and has been quoted in notable publications such as The Wall Street Journal, The Los Angeles Business Journal, The Los Angeles Times, and the San Fernando Valley Business Journal among dozens of others. He has published two property management books and developed the guiding principal of “The Five P’s” and “The Five R’s” of property management. Mr. Hanes received a Certificate in Real Estate from the College of San Mateo in Northern California and is a Certified Real Estate Brokerage Manager (CRB). He has also completed all coursework required to be a Certified Commercial Investment Member of the National Association of Realtors. He has lectured at USC, the Claremont Schools, Cal State Fullerton, Cal State Northridge, and various other state universities, and for several years with the Apartment Association of California and the Real Estate Conference Group. He is the former publisher of The Investor Preview Magazine, and the Hanes Apartment Advisor featuring industry leadership and market trends; and the current Hanes Multifamily Investor, which has a circulation of more than 20,000 owners of over 43,000 multifamily investment properties across Southern California. Bruce and his wife Sharon now personally own and operate a large and growing multifamily portfolio of multifamily and commercial properties throughout Southern California, and specialize in larger distressed property “turnaround” situations. Mr. Hanes has primarily been involved in multi-residential investment real estate in Ventura, Los Angeles, and Riverside Counties, completing large-scale renovations of existing product with the goals of adding value and repositioning the asset to align with the needs and strengths of the local community. The most recent example of this approach is the 149-unit resort style multifamily property (Villaggio at La Quinta) situated on 10.59 acres in the Coachella Valley. The newly renovated property features a one-of-a-kind color scheme and design elements throughout. As a young man, Mr. Hanes served in the Iowa Air National Guard and the United States Coast Guard, Sand Island Hawaii. He is also a professional musician, playing lead solo sax for various groups such as the Four Preps, the Chordettes, and several other local bands. While Mr. Hanes is no longer involved in the day to day operations of HIRI, he remains in active pursuit of new acquisitions and the perfection of the quality of his current core portfolio. Mr. Hanes spends each day in the office focused on innovation, creativity, training and technique. He spends each day out of the office focused on his family and, most importantly, his four amazing and beautiful grandchildren, Titus, Kira, Braysen and Bryton.